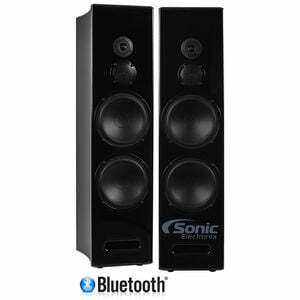 Ideal for your home, office, entertainment center or even the perfect touch for your man cave, these sleek floor speakers allow you to wirelessly play your music with any compatible Bluetooth A2DP device. Easily connect an alternate device such as MP3 player or a device without bluetooth using the stereo 3.5mm headphone jack. If you want to connect your television for some additional audio quality, simply use the attached RCA inputs. 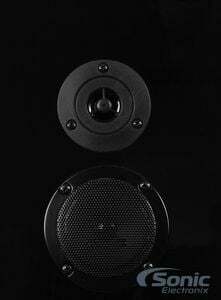 Radiant floor speakers feature two 8" woofers with a 3" mid and tweeter piezo with a wireless range up to 33 feet to control your music playback from across the room. These speakers will bring any average sound system to life with the powerful bass enhancement of XBASS sound. 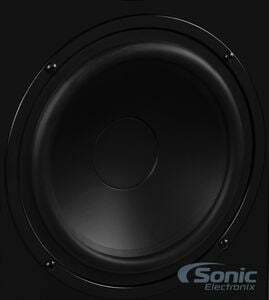 These series speakers are also available in black and white Single 6" or Dual 6". The type of speaker determines the use that the speaker is intended for. 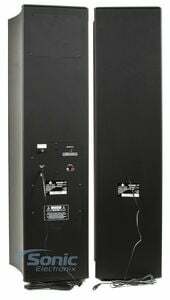 Some speakers are manufactured specifically for home use while others are made for professional use. All-weather and water-resistant speakers are made to withstand the elements. They usually have been treated with a protective coating to shield against all types of weather. From wet to dry, hot to cold, these speakers are prepared. Speakers that are water-resistant are not to be submerged in water. This feature designates if the speaker is designed for professional use. 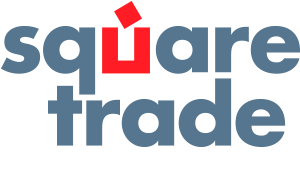 Professional products consist of high end PA (Public Address) systems, DJ Equipment, Karaoke equipment, and other uses that require a high end unit. This designates whether the speaker is intended for indoor use or outdoor use. This designates if the speaker can be used for multiple activities. 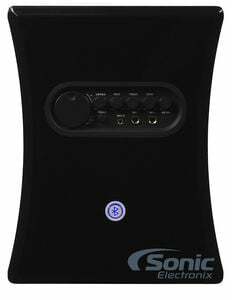 Can be hooked up to anything that uses a 3.5mm headphone jack, such as a CD/MP3 player or a computer. The material that the speaker enclosure is made of. While some speakers have a painted plastic housing, others have a carpeted wood enclosure. 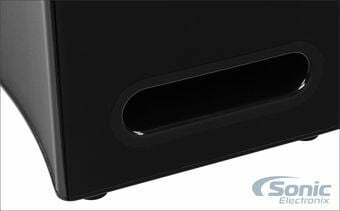 Depending on the material, some speakers are more durable than other. Common materials include: Plastic, MDF (Medium Density Fiberboard), treated plywood, and high-impact polypropylene. 'Yes' means Bluetooth is built-in and the speaker or receiver will be able to connect to a Bluetooth transmitting device such as a smartphone or tablet for wireless audio playback. 'No' means the product does not support Bluetooth wireless audio playback. 'Optional' means the product can support Bluetooth wireless audio playback, but it requires an additional adapter to do so. Amazing Speakers for the Money! These speakers blow my mind. I purchased these for my 6 bedroom house and they can shake the entire thing. My friends are always jealous when they come over and hear them. 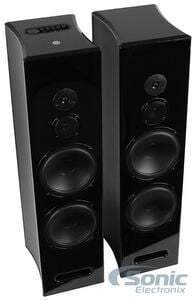 They sound great when turned down for a single bedroom, but can be heard through the entire house when turned up. Great deep bass and high trebles. The bluetooth is awesome. It can get spotty when objects block your phone, but it is so convenient. You really cannot beat this deal. Very versatile and impressive speakers.